It has been a tough month for the March 8 Alliance. In the last week of July, the Maronite Patriarch launched four consecutive maneuvers against Michel Aoun and his party, taking stances even bolder than his anti-M8 predecessor Sfeir. And just when the Islamist-Lebanese army clashes in Arsal were starting to give a propaganda boost to Hezbollah, Hariri decided to come back to Beirut and turn this Hezbollah opportunity into an opportunity for his party and the March 14 alliance by showing himself as the moderate politician coming home to save the republic. He didn’t only come back to Lebanon at a critical time: He also managed to steal from Hezbollah the moment they had been waiting for. In the aftermath of the Arsal clashes, Hezbollah was supposed to look like the good guy and ISIS the bad one, hence justifying the Hezb’s intervention in Syria. Hariri’s comeback and the relatively quick and bold intervention by the army in the Bekaa threw Hezbollah out of the equation and showed Future Movement instead of Hezbollah as the good guy. The week after that, Hezbollah had to suffer another blow when the user behind the Free Sunnis of Baalbak twitter account was caught and turned out to be a sympathizer of the party. So in order to improve their position, the FPM and Hezbollah launched a political counter-attack on the March 14 alliance. Hezbollah, like most of the time, decided to avoid entering in a direct media confrontation with the March 14 alliance and decided to shift the public’s attention to ISIS: The Islamic State was the main theme in Nasrallah’s speech on the 14th of August. The timing was perfect for Nasrallah: It was on the July 2006 ceasefire day, the target was ISIS, and in the background Israel was dropping bombs on Gaza. It couldn’t get any better than this for Hezbollah. This other counter-attack is courtesy of FPM leader Michel Aoun. While Hezbollah was busy redirecting the public’s attention to ISIS, Aoun was playing it smart by insisting on the only proposal the Maronite patriarch hadn’t violently criticized: The direct presidential elections. The constitutional amendment was proposed by the Free Patriotic Movement in early July but was quickly thrown off the table after almost everyone criticized it. The Free Patriotic Movement might have played a losing card yet one more time, but at least this time it would mean distracting the people from M14’s recent gains. And the M14 coalition fell right into the trap: They stopped mentioning Hariri’s billion dollar comeback and instead decided to get into a media war with the FPM regarding a constitutional amendment that has -1000% chance of passing. The importance of Aoun’s proposal is that it buys him some time: The parliament cannot discuss a constitutional amendment in an exceptional session, so the direct presidential elections bill will have to wait till October 15 (when the parliament starts to hold normal sessions). That date is only two weeks short from November. And what’s happening in November again? The parliamentary elections. In other words, if Aoun decides to hang on to this bill and wait for it to fail in the parliament in late October it would mean that Lebanon will enter November with no president and a soon-to-be-expired parliament. 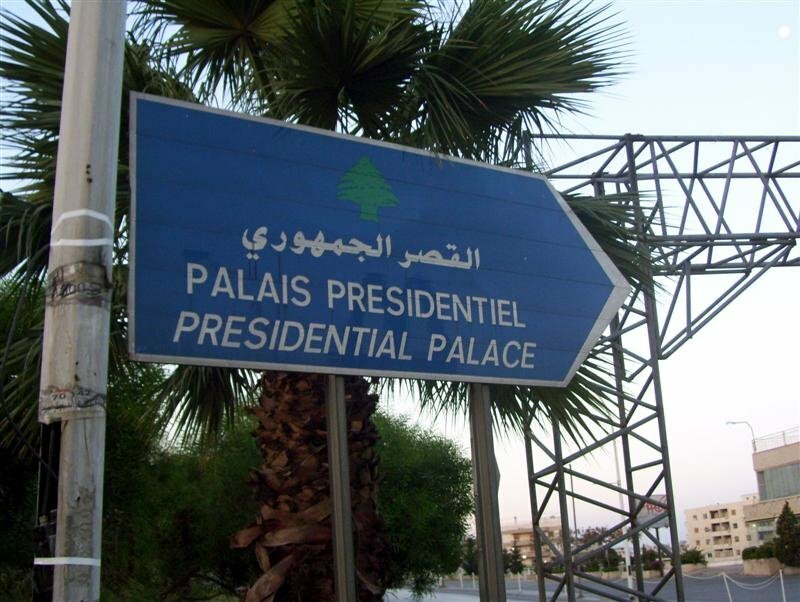 If Aoun, backed by his allies, decides to vote against an extension of the parliament’s term (It’s highly unlikely that Berri or Jumblatt would give up their positions in the parliament so Aoun will have to ask help from the March 14 Christians to stop an extension of the parliament’s term) the Free Patriotic Movement would have put the M14 alliance in a tough spot: Vote for him president or face a total collapse of the president-less and parliament-less Lebanese regime (since most of the political class doesn’t want parliamentary elections before presidential elections). This direct presidential elections proposal is Michel Aoun’s passport and alibi of doing nothing till the 15th of October. The maneuver depends on the cooperation of the other Christian parties and it will most probably fail, but it’s Aoun’s last bullet in this presidential race. While the March 8 and 14 alliances were acting normal again by escalating their stances against one each other, another politician was using his old techniques again: On the last week of July, Walid Jumblatt met Nasrallah. On the first week of August, he met Aoun. On the 18th of August, he met Frangieh. And just when everyone thought that he was once again siding with the M8 coalition, he decided – on the same day he met Frangieh – to issue the following statement: “The Arab Druze must decide between a narrow and temporary sectarian affiliation that is being manipulated by the Syrian regime and a wider Arabic belonging”. And that, dear reader, is how you confuse everyone. Is Ashraf Rifi the new Abbas Ibrahim? September and October will be two very important months for the Lebanese parties. The fate of the general and presidential elections will depend on who will have the upper hand by the beginning of autumn. That mainly depends on what will happen with the Lebanese soldiers Kidnapped by the militants in Arsal. During similar events in the past, it used to be Sûreté Générale director Abbas Ibrahim who negotiated with the militants in order to release kidnapped Lebanese (Like in the case of the Lebanese who were taken hostages by Syrian rebels in Aazaz). Since Ibrahim was rumored to be closer to M8 than to M14, his successes were usually considered as mini-victories for the March 8 alliance. However this year the ministries of defense, interior and Justice are in the M14 camp which means that the M14 alliance will most probably use the security ministries in order to negotiate with the militants instead of Ibrahim. Commenting on the Arsal clashes between army troops and jihadist militants earlier this month, Rifi assured that the kidnapped soldiers and Internal Security Forces members will be freed “without any exchange for detained Islamists. The March 8 and 14 alliances are likely to fight on who gets to negotiate with the militants. The party that succeeds in the negotiations gains the upper hand for the next few weeks, boosting the alliance’s position in the very critical months of September and October. The main issue in Lebanon today is whether to (1) organize the presidential elections before the parliamentary elections or (2) the parliamentary elections before the presidential elections . a) It would be a miracle if they would agree on a law. b) Even if that miracle happens, a president is still needed to sign the law. c) constitutionally speaking, the miracle can’t happen because the parliament theoretically (that rule has been broken before) cannot legislate with no president in power. d) The majority of the parliament refuses to the go to elections based on the 2008 modified electoral law. e) That means that we need a new electoral law. We’re now a country with no elections, with an expired parliament, with a caretaker cabinet, with no president, and whose students pass without official exams. 95 days since the 25th of May. 82 days till the 16th of November. Posted in 14 March Alliance, 8 March Alliance, Lebanese Politics, Monthly Presidential Coverage, Parliamentary Elections, Politics, Presidential Elections on August 27, 2014 by Ramez Dagher.